One of our goals at AltspaceVR is to use virtual reality to help people that are far away physically feel like they’re in the same place. Today, the best way to experience this unique sensation of presence is to attend an event in AltspaceVR. 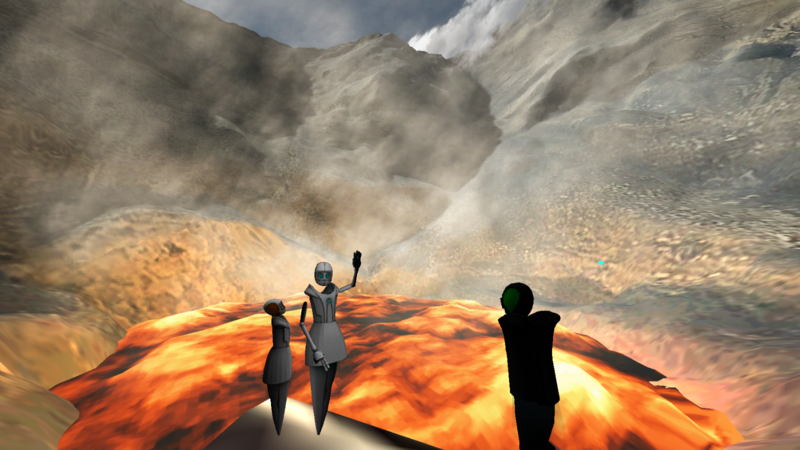 Whether it’s exploring an active volcano, playing a VR version of Dungeons and Dragons with a celebrity dungeon master, or attending a tech talk, AltspaceVR events let you share “only possible through VR” experiences with like-minded people. The best way to browse upcoming events is on the AltspaceVR events page. If you click one of the events, you’ll see more details and oftentimes an option to RSVP. Around the time of the event, you can join by clicking the link in the events page. That will take you directly to the event space. If you’re already in AltspaceVR, you can attend the event by opening up the events panel in your menu, and selecting your event. As of this week, you can create your own events. Go to “My Events” on the events page, and launch a quick event that starts immediately or schedule an event for later. If you have an event you’d like for us to feature, select the option on the event creation page and let us know on twitter @AltspaceVR. We look forward to joining your events! New to AltspaceVR? Create a free account today and start exploring. Click here.